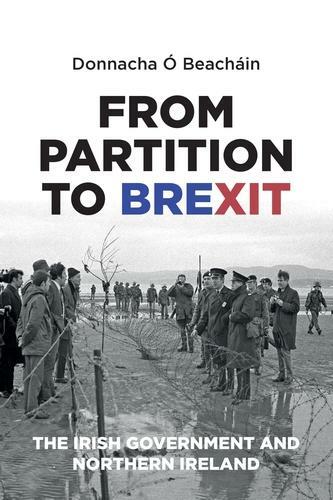 From Partition to Brexit is the first book to chart the political and ideological evolution of Irish government policy towards Northern Ireland from the partition of the country in 1921 to the present day. Based on extensive original research, this groundbreaking and timely study challenges the idea that Irish governments have pursued a consistent set of objectives and policies towards Northern Ireland to reveal a dynamic story of changing priorities. The book demonstrates how in its relations with the British Government, Dublin has been transformed from spurned supplicant to vital partner in determining Northern Ireland's future, a partnership jeopardised by Britain's decision to leave the European Union. Informed, robust and innovative, From Partition to Brexit is essential reading for anyone interested in Irish or British history and politics, and will appeal to students of diplomacy, international relations and conflict studies. 'Enthralling, insightful and meticulously researched. Anyone who wants to understand how successive Irish Governments have engaged with Northern Ireland should read it.' Bertie Ahern, Taoiseach, 1997-2008, key negotiator of the Good Friday and St Andrews Agreements 'Brilliant, lucid and thought-provoking - required reading for anyone who wants to understand relations between these islands and the importance of the Border.' David McCullagh. Presenter of the current affairs television programme Prime Time, and Political Correspondent with RTE News 'successfully expose[s] . the true extent of the [Irish Government's] ambivalences and inconsistencies, using an impressive wealth of archival material in both Britain and Ireland unavailable to an earlier generation of researchers.' Diarmaid Ferriter, Irish Times, 5 January 2019 'The book is superb for anyone who wants to know why Ireland is where it is now and how the two parts of Ireland have treated each other for nigh on to a century.' Frank MacGabhann, Irish Examiner, 23 February 2019 'O Beachain has broken new ground and provided a useful map for a generation of political scientists and historians.' Sean Donlon (former Secretary-General of the Irish Department of Foreign Affairs), History Ireland, March-April 2019 -- .